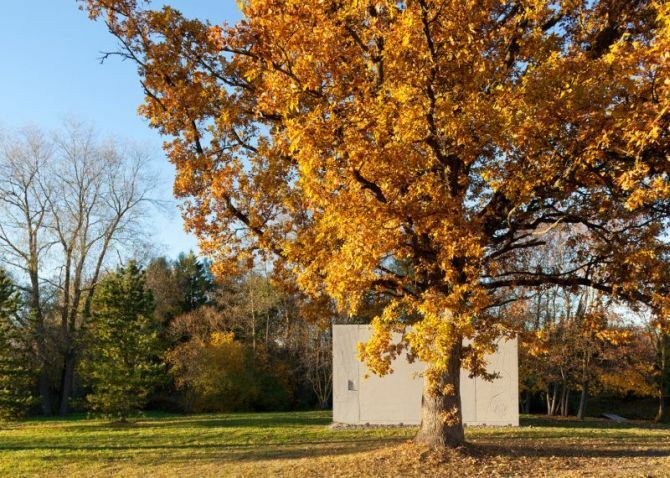 Although it is made from sturdy concrete material, but its prefab structure can be easily assembled on-site without the need for a foundation. 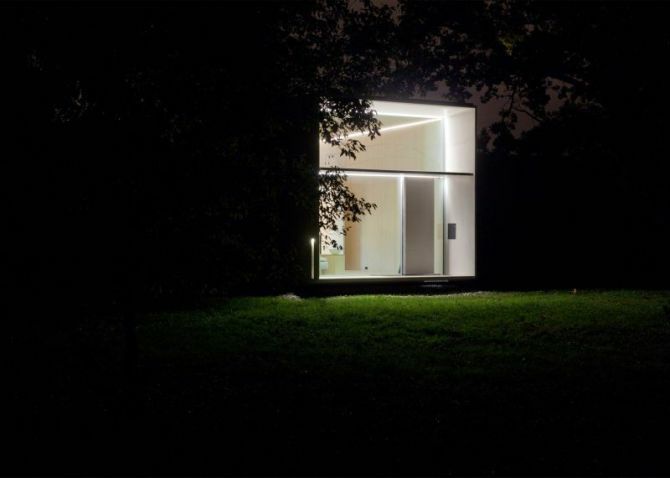 The Koda house can be put up or taken down within just seven hours. Featuring a simple box-like structure, the two-story home features a double-height living room to the front. The living room is followed by a kitchen, a dining area and a bathroom to the back. The staircase will take you to the bedroom, overlooking the living room below. The complete front facade is glazed to bring in natural daylight, while offering outside views to the inhabitants. 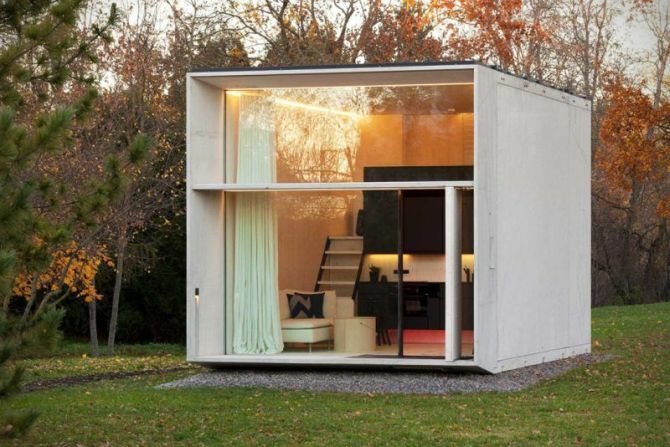 This boxy structure can become any thing you want – be it a comfy home in a city, a lakeside summer house, a garden office, a studio, a classroom or a cafe. No matter how you want to recreate this minimalist movable structure, it is going to form a convenient space for you. Meanwhile, it encourages adjustments to meet needs of each person.Unfortunately it is still in its prototype phase, but we’re hoping that it comes into the market soon. It’s going to be a perfect retreat for people who follows a nomadic lifestyle.